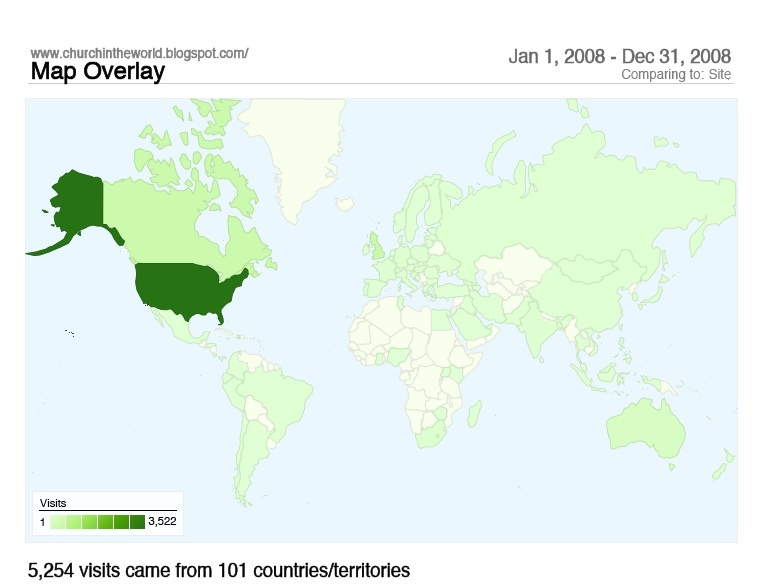 Google Analytics indicates that in 2008 there were 5,254 visits to this blog from 101 countries. Thank you for being among my readers. This entry was posted in Uncategorized on January 1, 2009 by Steve Godfrey.